We’re continually impressed by stories of customers driving innovation and making an impact with data. 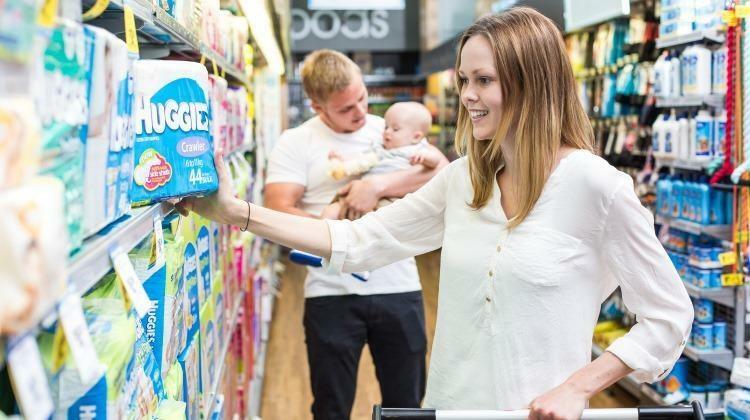 Kimberly-Clark, a Fortune 500 provider of personal care products, uses Tableau in conjunction with the Amazon Redshift data warehouse from AWS and Panoply (a company that automates Redshift optimization) to drive self-service retail analytics at scale. In Europe, the company’s e-commerce data comes from multiple regions and disjointed data sources. The EMEA Analytics team is responsible for managing it, but their legacy systems did not provide the flexibility they needed to quickly address questions coming at them, which required considerable data analysis. The selection to use Tableau on Panoply has been a game-changer, saving the company $250,000 in two years and up to eight hours weekly, while also putting the power of secure data analysis in more hands. For the analytics team, the upside has been significant with more time gained to interpret the data versus spending endless hours making sense of it. Carre spends most of her time immersed in data, leading the EMEA Analytics team. Kimberly Clark’s e-commerce data stems from 15 different regions, aggregated from disparate sources. The diverse EMEA region has different SKUS and item descriptions for each retailer. The team also collects and analyzes consumer data from multiple internal sources (including data on sales and marketing spend), external sources (like SimilarWeb and Nielsen), and web applications. Combine those SKUs with siloed data and duplicate data points inherent in their legacy systems that include digital shelf analytics and a web-based platform, and their landscape is quite saturated. It was mission-critical to find a nimble solution. Carre’s team chose to adopt Panopy’s AI-driven smart data warehousing solution in conjunction with Tableau. The powerful combination has saved the team over 400 hours in a year, equivalent to nearly a quarter of a million dollars, while enabling secure, automated data access to more professionals within the organization. They now spend less time collecting and wading through data and more time interpreting it. The combined strengths of Tableau and Panoply also gives them a ‘playground’ where they can adjust datasets for ad-hoc discovery. Carre compares “a data pro without a sandbox to a painter without a canvas”; and her sandbox is something that wasn’t available with existing solutions. As an added bonus, new capabilities for the team have included being able to easily compare side-by-side the performance by store format (i.e. online, in-store, express format, superstore, etc.). Examples of performance metrics now analyzed include: pricing and promotions, pack size, market share and growth. Carre and her team support Kimberly-Clark by reporting on the latest market share, price elasticity, and consumer trends. Because of the company’s large, complex datasets, Carre often called on IT resources to help her design queries and ETL processes for business intelligence questions before she could visualize them in Tableau. While this process worked, it was not agile enough for them to quickly answer the demanding business questions being asked. The Tableau on Panoply solution addresses the data wrangling and analytics needs faced by Carre’s team, and has saved the company an immense amount of time and headcount. For example, on just one regional retail report, the team saved eight hours per week—equivalent to $250,000 every two years, as referenced above. This report is one example of Kimberly Clark’s “huge return on investment,” bringing new capabilities without adding another Business Analyst to the team or undergoing lengthy requirements-gathering or customer development processes. Panoply monitors queries in real-time, automatically adjusting for optimal performance. To accomplish this Panoply uses proprietary AI algorithms to learn usage patterns, optimize datasets, and cache frequently-run queries, all with the goal of improving responsiveness to the end user. Tableau and Panoply ran a joint study looking at these performance improvements with common dashboard configurations. Over the course of this three week study, they found that Panoply provided up to a 90 percent reduction in dashboard runtime. Hi, Excellent article.Your Article is impressive and very informative. Thank you sharing this post is very nice.